﻿ Data storage and backup – KONČAR Elektronika i informatika d.d. Exponential data growth is a growing challenge for their storage and availability. Implementation of different disk systems meets the needs for capacity and the rapid availability of data. 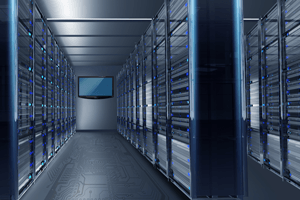 We provide an appropriate level of redundancy that result in continuous access to all stored data. In response to the current dependence of businesses on data stored in information systems, we provide system backup allowing a relatively quick recovery of information systems failure, i.e. data loss. Simple and high-quality solutions are designed for all companies, regardless of the field of industry who want a reliable, secure ICT infrastructure that simultaneously follows ICT trends and standards in order to be able to smoothly and successfully operate. Solutions and products that we implement guarantee secure data storage, while allowing their continuous availability (0-24). To our users we apply technology disk system which suits them best (SAN, NAS or DAS). We implement disk systems of following manufacturers; Dell, NetApp, IBM, HP, Intel, QNAP. We are using the software of our long-time partner CA Technologies to implement solutions for archiving data onsite or offer services for data archiving on a remote location. 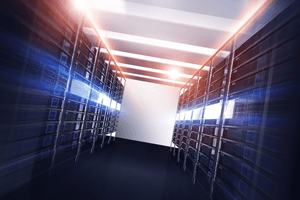 Our data center can serve customers as a secondary location to accommodate a variety of services and data. It is a solution that enables continuous availability of IT services that the company needed. Our experience and knowledge is offered to customers as consulting services.